I understand French and Spanish very well. I speak Spanish better than French as I spent a few months in Spain. I have studied languages such as Spanish,French. I have studied marketing, administration, tourism. 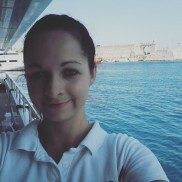 I've also worked on yachts as a stewardess in Spain and Turkey,cleaning detailing decorating bartending silver service and many other hospitality roles. I have experience in all these roles.